Hard Disk Sentinel (HDSentinel) is a multi-OS HDD/SDD monitoring and analysis application. Its goal is to find, test, diagnose and repair disk drive problems, report and display SDD and HDD health, performance degradations and failures. Hard Disk Sentinel gives complete textual description, tips and displays/reports the most comprehensive information about the hard disks and solid state disks inside the computer or in an external enclosure (USB / e-SATA). Many different alerts and report options are available to ensure maximum safety of your valuable data. HDD Sentinel runs in the background and verifies SDD / HDD health status by inspecting the SMART status of the disk(s). If an error is found or unexpected behaviour is detected, it warns the user about the current situation and also can perform appropriate actions (for example, start an automatic backup). Usually, hard disk health status may slowly decline, from day to day. The SMART monitoring technology can predict HDD failure by examining the critical values of the disk drive. Compared to other software, Hard Disk Sentinel detects and reports every disk problem. 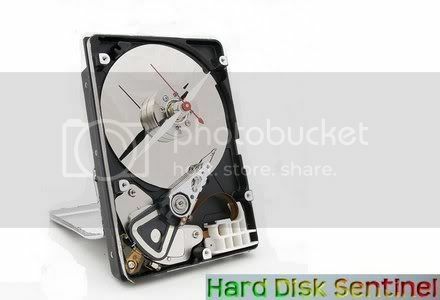 It is much more sensitive to disk failures and can display better and more detailed information about hard disk expected life and the problems found (if any). This is a more sophisticated way to predict failures than the "traditional" method: checking S.M.A.R.T. attribute thresholds and values only. For more information, please read how S.M.A.R.T. works and why Hard Disk Sentinel is different. The software displays the current hard disk temperature and logs maximum and average HDD temperatures. This may be used to check the maximum temperature under high hard disk load. For the importance of the hard disk operating temperature, see the F.A.Q. section. Please click here to see the list of features.